When you think about it, the concept of the Ford Fiesta Active does seem like a bit of a no-brainer. It’s simple. 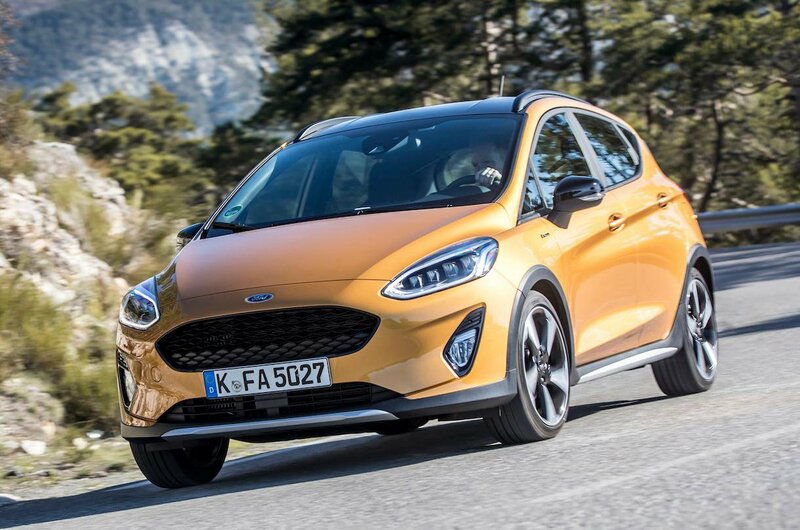 The latest Fiesta has already proved to be a runaway success since going on sale since last September, quickly picking up where its predecessor left off at the top of the sales charts in the UK. With the sporty ST-Line and the posh Vignale versions, it has already proved to be a brilliant car that appeals to a number of different buyers. But while the small hatchback sits at the top of the list of biggest sellers, the general buying trend in the new car market continues to shift towards SUVs. So, with the Fiesta Active, Ford has taken the Fiesta and toughened it up. As well as increasing its width by 10mm and its ride height by 18mm, it has added plastic body cladding and roof rails for the full 4x4 look. 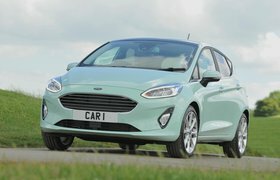 Ford reckons that'll be enough to ensure the Active gobbles up 15% of Fiesta sales. We've driven it abroad and were impressed, and now we've had a chance to drive it in the UK. When you step inside the Active, you notice the slightly higher driving position over the standard car, although it's raised by only 18mm, so you don't feel like you’re on stilts. It merely takes the standard car’s brilliant driving position and shifts the whole thing slightly further off the ground. 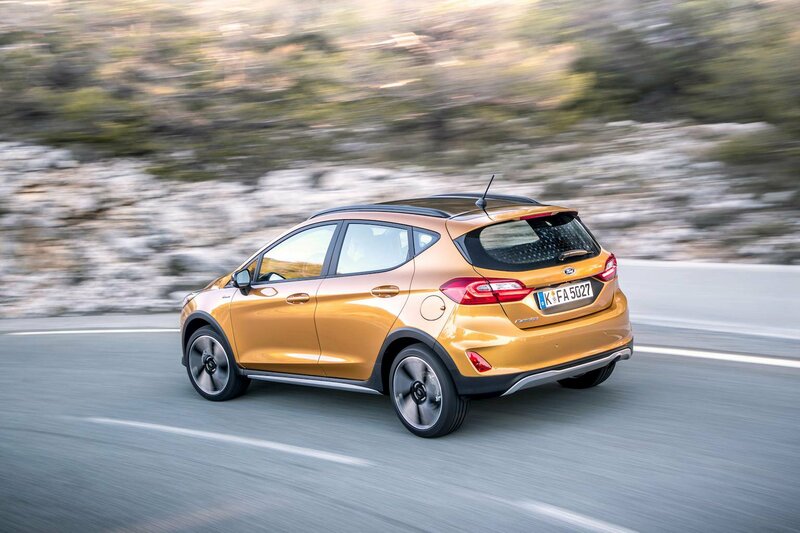 And because that loftiness comes from higher-riding suspension, the Active has a little bit more ground clearance than the regular Fiesta. If you live down the end of a rutted track, that could be of great use to you. For everyone else, the greater benefit is the slightly softer ride. The standard Fiesta is on the firm side, but the Active's suspension has been tweaked to better cope with sharp jolts, so it does a slightly better job of smoothing out scruffy surfaces. In the UK, over our less than perfect roads, the Active does well to soak up imperfections better than the standard Fiesta does. The difference may be subtle, but it's definitely there. You'll also notice a slightly blunter dynamic edge compared with other Fiestas – particularly the sporty ST-Line version. In the Active, the car's body rolls a tad more in corners and it generally doesn’t feel quite so well tied-down through fast, twisty bends. But again the difference is very small – this is no great transformation from the standard Fiesta, rather a useful iteration that will appeal to a slightly different group of buyers. A further addition to the Active is the choice of three drive modes – Normal, Eco and Slippery. The two former settings are fairly self-explanatory, while Slippery adjusts the car's traction control to help when you're driving on lower-grip surfaces, like snow or mud. All the other traits that make the Fiesta such a cracking small car remain. The steering is especially sweet and well-weighted, while the Ecoboost 140 engine of our test car is an absolute corker, offering warm hatch performance yet palatable running costs. The Active offers the same engines as the standard Fiesta, but while the Ecoboost 140 really impresses, it’s actually the Ecoboost 100 that offers the best balance of performance and cost. If you're scratching your head trying to think of rivals for the Active, you're not alone. In fact, we could only think of one other small hatchback with an SUV twist: the Hyundai i20 Active. And the Fiesta Active offers better driving dynamics, a smoother ride and a plusher interior than that car. The Active is available in three different trims. 1 is based on Zetec trim – our favourite on the regular Fiesta – and gets LED lights, 17in alloys, automatic lights and wipers, lane-keeping assist and Ford’s latest Sync 3 infotainment system. B&O Play gets an upgraded stereo, while range-topping X gets a part-leather interior with heated front seats, electrically folding door mirrors with puddle lights, sat-nav, a rear-view camera and rear parking sensors. Inside, not much feels different from the standard Fiesta, with a general feeling of high quality throughout that gets close to the best in class. The boot is slightly disappointing compared to those of the Seat Ibiza and Skoda Fabia, however. 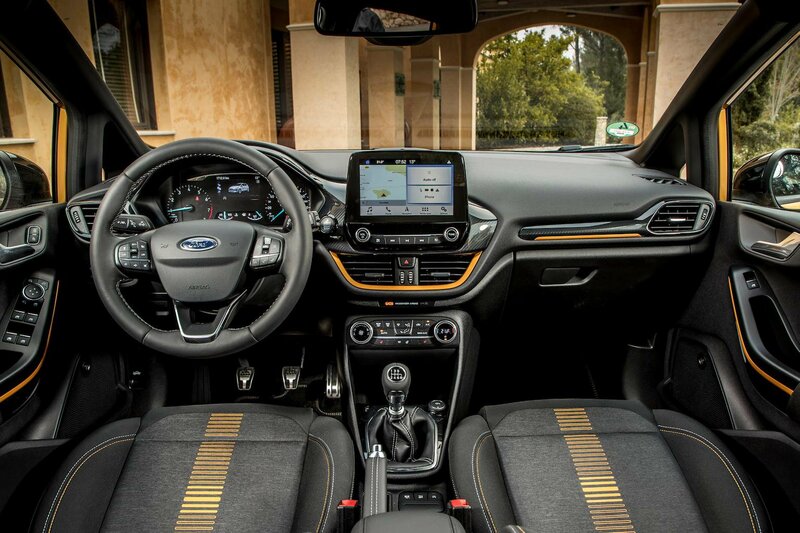 For the full tour of the Fiesta's interior, check out our 16-point review here.